Back in 2012, when we took our two week vacation in Iceland doing the Ring Road, there wasn’t a whole lot of English-language food information on the web, so the various reviews I wrote in my set of Iceland Reviews still get quite a few hits. 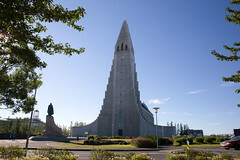 But, since 2012, the traveling world continues to discover Iceland, indeed, in 2015 almost twice as many tourists visited Iceland as in 2012, and it’s shifted from “terra incognita” into “interesting Transatlantic Stopover”. And heck, in the summer of 2016, no few than 10 of my friends and colleagues visited Iceland, including several visiting at the same time I was passing through. And our exploration gave us a great chance to try out some new places and see some new sights, like swimming in the North Atlantic (really!) at Nauthólsvík, seeing the new Harpa convert call, and even checking in on some food favorites like Bæjarins Beztu Pylsur. 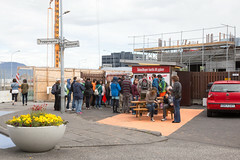 While the neighborhood around it has seen a tremendous amount of development, Bæjarins Beztu Pylsur is still the place in Reykjavik to score a proper hot dog. Grái Kötturinn remains a godsend for the inbound international traveler, serving up hearty breakfasts to travelers well before most other places in Reykjavik open up. Reykjavik Roasters remains one of my favorite coffee shops anywhere in the world. Sjávargrillið is still serving up some excellent upscale Icelandic fare with some great seafood. One sea changed I noticed is that while Reykjavik didn’t really have a laundromat in 2012, they do now. And it’s now a cafe as well. Rub 23 has closed their Reykjavik location. Their Akureyri location remains open and popular. Noodle Station, who provided some quite inspired Laotian noodle bowls upon our arrival back in Reykjavik, is no longer operating their restaurant just down from Hallgrimskirkja. However, they are still operating their Hafnarfjörður location. However, aside from driving by it on the bus, that’s likely outside most tourists’ travels. Still, glad to see they are still around in one form or another. Tapas Húsið has closed, and the location has since held several unsuccessful restaurants. For those still looking for Icelandic-inspired tapas dining, Tapas Barinn downtown is still alive and well. Brynja is still serving up some excellent Iceland soft serve ice cream in Akureyri. The Vogafjós Cowshed Cafe remains an excellent little inn and restaurant in the Myvatn region. Gamli Bærinn remains another fine pub in the Myvatn region. Humarhöfnin in Hofn remains a great place for langoustines, although Shane prefered nearby Pakkhus. In other words, in Greater Iceland, most of the culinary sites are still there, and still quite good, and Shane discovered a few new places. 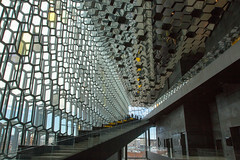 If you are planning an extended Iceland trip, his writeup is a good reference. Compared to the rest of the Douro, which generally is quite calm and free of a lot of tourist traffic, Pinhão is the epicenter of activity in the Alto Douro; almost every day there’s at least one river cruise ship coming or going (day trips from Porto are popular, as are cruises headed further up the Douro to Spain), and it’s also the largest concentration of both hotels and restuarants (although the Douro valley still seems to be catching up with tourism; most Quintas having to implement reservations, and several places having recently added accommodations). Enjoying the sunset After completing a tour and a very enjoyable port tasting at Quinta do Bomfim, and eyeing the bountiful picnic baskets that some other guests had reserved there (we’d come back and do that later in our trip), we were actually getting a bit hungry, so as the sun started to set we were looking around Pinhão’s harbor for dinner. The first place we looked for, Bar Restaurante Veladouro, apparently was temporarily closed (they were open the next weekend when we returned to Pinhão), so we ended up at the place next door, Restaurant LBV 79 (run by the same people running the LBV Guesthouse that we were staying at up the hill… if you are wondering about the name, LBV is short for “Late Bottle Vintage”, a regular Port wine term).